We all know about color picker which you also use in Photoshop and other photo editing tools for changing colors.Almost all the webmaster's and designer's use the Photoshop tool for editing the images and color to pick and edit. These tool helps you to pick your favorite color and it's code,Every color has its own unique color and code to use.So,these makes webmasters and developers to choose color picker tool who often use in Photoshop.I found the similar tool which we use in Photoshop,So you don't need to go for the color code to pick in Photoshop always. In the section Hue drag the black bar vertically to generate the suitable color to pick. The Swatch bar shows you the final color result that you had chosen in the tool. The main three color Red Green Blue (RGB) appears on the bottom center which is based on the color that you have choose.and to pick the color code go to the Hex box which is shown below in the tool. Choose the color you like until your satisfied with the color and pick the code from Hex box. If you had a problem with the tool and don't know how to use it please don't hesitate to ask me by your valuable comments.Have a nice day and blogging...! 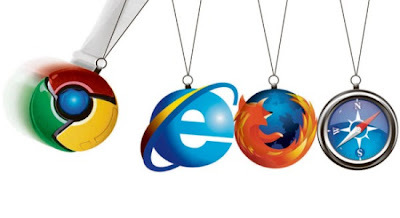 Well,Do you wanna know which services are using by Top sites and Blogs? .Now you can Track your favorite sites by using Sitonomy.These Great site has many features which helps you track other sites or competitors on Technical information like Visitors,Site usage,Advertising Networks,Feed Providers,Blogging platform and other Analytics which helps you a lot...! And the Sitonomy Site itself describes as "Sitonomy is a free service that allows developers and designers to find out which technologies are used in a specific blog/site. Together with the provided statistic information of popular technologies, this service makes it easier to decide what technologies are suitable to your own site"
These are the services which the site provides much easier to navigate and it provides great info all the details you need....! Have a nice day and Blogging. Social Media Monitoring ? That’s an often heard but a meaningless term to many of us, right ? Many think that there is no ROI to Social Media, and while this topic is up for debate, I’m saying – yes and no. No because, we know that we don’t get social for the game sake. And yes because, there are brands and products who needs numbers and obviously results, for getting social. Many brands are jumping into the social media bandwagon these days and are experimenting with things, that’s a fact. Many a times, knowingly or unknowingly we have engaged with them as well. So it makes sense for them to monitor it and see what the results are like. Having said that, monitoring social media is not the regular analytics stuff, that’s where many go wrong. - Social Media shouldn’t be measured like SEO analytics on your site. Heck, you won’t even see the referrals as good as an SEM campaign with social media. The thing is, in social media the action is elsewhere and not necessarily does reflect on your site referral stats all the time. Now, don’t get me wrong but I’m not trying to say that if you have something to sell, at the end of the day, it doesn’t. In fact it might sell, but just that the numbers might not look round as in an SEO analytics report. - Social Media measurement has got to do with many “intangible” signals. Now, this is a grey area but measuring social media (at least at this point of time) has got a lot to do with “intangible” or “volatile” signals. Like “feel good factor” for a brand, which can be perceived if you ask someone about it but never shows up in the referral stats. 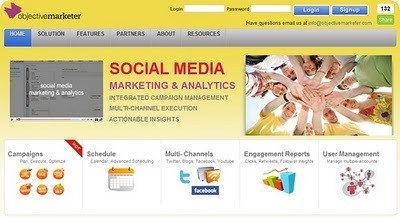 - Social Media monitoring is probably a better word than Social Media measurement. Why ? Because social media isn’t always about the numbers and formulas. Its more about the “perception”, “engagement” and “emotions”. Phew ! I hope all that made sense. Now, on to some social media monitoring tools. Honestly, many of these tools are “not-really-there”. But these are the ones we have anyways. They mostly focus on the numbers unfortunately, while some focus is also give to brand perceptions and engagement ratios. I’d like to see more tools coming up that focuses on the second part rather than the numbers. But that require some level of intelligence and I guess we’re all in a learning mode at the moment. Alterian’s SM2 social media monitoring tool is one that gives advanced user behavior statistics, measures and analyze daily volume, demographics, location, positive or negative content tone, themes, and trending topics for your brand/product. A little too much details but a good tool nevertheless. This one too, covers a range of social media channels like digg/linkedin/facebook/twitter/delicious etc. Self-service analytics software supports both qualitative and quantitative research, providing automated semantic analytics to allow you to explore insights and opinions about your products and brands on social media. It claims that the platform automatically captures large, relevant data sets through topic categorization. 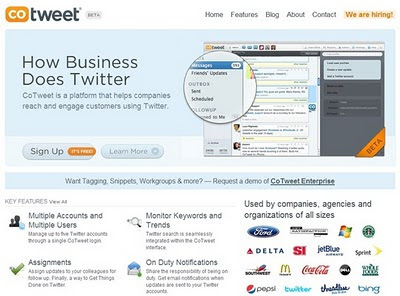 Social Mention is a web based tool that makes it simple. It finds the brand mentions on any particular channel like blog/micro blogs and gives you a comprehensive idea of how the brand is perceived by users. It also gives you idea about the general “perception” of the brand in terms like positive, negative or neutral. This one is a bit different from the rest of the lot. It picks up signals from social media mentions and puts them into a different perspective unlike others. It finds you details about reputation, media origin and sentiments associated to your brand. Impressive ! 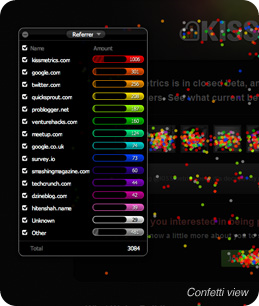 Trendrr is a very web 3.0 kind app that does real time digital/social media monitoring for you. It analyzes social media channels for your brand mentions and puts them into perspective with numbers. Their data sources include everything from Blogs to Microblogs, Search, Social Networks and even Video. Spiral16′s spark takes social media analytics to a higher level, making it visual and thus making it easy to interpret and compare. They claim that the data is not the regular one, not limited to RSS feeds as a data source, instead combines proprietary crawler technology with public search engines. Spark captures a wider breadth of data and more goes into more detail about web pages, resulting in less spam and more relevant results. Sysomos’s MAP – Media Analytics Program is another social media analytics program that focuses on the core concepts of social media – listen > measure > understand and engage. The tool provides real-time intelligence to manage products, brands and reputations on social media. Basically what attentio does is collect information from all social media channels related to brands and products, assimilate and study it to give you structured data. Its advantage is that its multilingual and have more of a brand centric focus. DNA 13′s media monitoring tool focuses more on a comprehensive media coverage model much like a PR tool. While I’m not a big fan of this model, the tool sure gives us a lot of insight on how and why a brand is performing well/bad on the media channels. They claim that they could provide a TV, print, online news, social media, and RSS feeds, all in one location “umbrella” strategy, which is interesting. So, Which is the best Social Media Monitoring Tool out there ? There is no one single social media measuring tool. 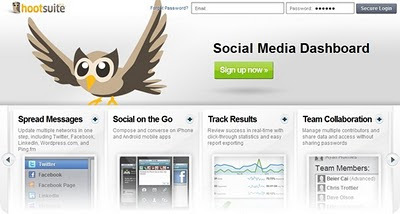 You have here a bunch of the best social media monitoring tools out there. As I said, most of them do the same job of indexing and finding your brand in the discussions, but the ones that excel do a good job at finding value out of those analytics data, and putting things to perspective. The idea is to mix and match and make use of the best ones from the lot.